SGX signage at the Shenton Way building. 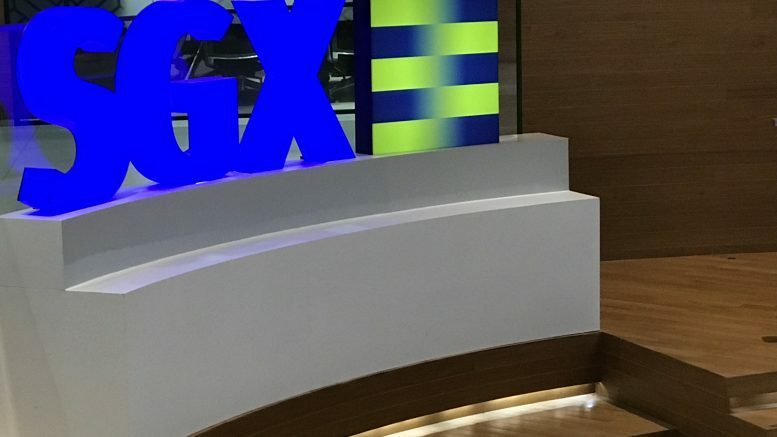 SGX said on Friday that the value of its total securities market turnover for November was S$21.6 billion, down 11 percent on-month and down 24 percent on-year, over 21 trading days. It noted that October 2018 had 23 trading days and November 2017 had 22 trading days. The securities daily average value, or SDAV, was S$1.03 billion, down 3 percent on-month and down 21 percent on-year, it said. The total market capitalization value of 739 listed companies was at S$949.1 billion at the end of November, SGX said in a statement on Friday. During November, SGX had 112 new bond listings, raising S$68.8 billion, it said. The total derivatives volume for November was 19.6 million, down 11 percent on-month and up 9 percent on-year, SGX said. The November commodities derivatives volume was 1.88 million, up 28 percent on-month and up 32 percent on-year, SGX said.